The beginning of IMSA Continental Tire SportsCar Challenge (CTSCC) racing season is just around the corner. With the inaugural race set for January 23rd at Daytona International Speedway, many are excited for the green flag on the BMW Performance 200 to drop. Being the title sponsor of the race, BMW is already in line for the event. Prepare to see a specially-decorated 2015 BMW M4 Coupe pacer clearing the way during the Rolex 24 At Daytona Weekend. 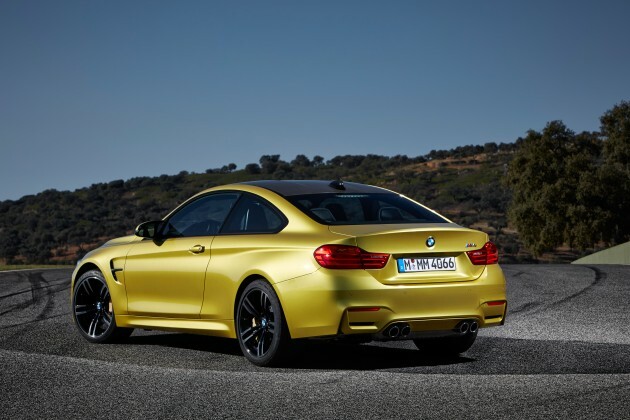 The BMW M4 Coupe pacer is part of a multi-year partnership with Daytona International Speedway. As it’s the automaker’s fourth year as title sponsor for the CTSCC season-opener, BMW has exciting plans for a unique pace car. As with previous years, the brand will be equipping one of its models with special components for the season opening race–this time, an M4 Coupe will receive M Performance Parts and unique banners to lead the season opener. If you hadn’t heard (or watched BMW’s presentation at NAIAS), this is the automaker’s 40th anniversary in North America and in US Motorsports. With the participation of BMW Team RLL in the race and Victor Leleu (who recently launched the newest M3 and M4) as the manager of BMW North America Motorsport programs, 2015 should be an exciting anniversary year.